Odd piece of trivia: people tend to like enumerated lists of things. So if you get an email with a subject line that says "Five Things Weird People Do," you're more likely to open that than an email that just says "Stuff Weird People Do." Before you protest and tell me all about how you'll read any email with "stuff" in the subject line, there are, no doubt, exceptions. And you, a board-certified snowflake, may be one of them. But it's just one of those things the advertising industry does research on, then pumps into my head. So I thought I'd share it with you. Because tonight I'm really tired. 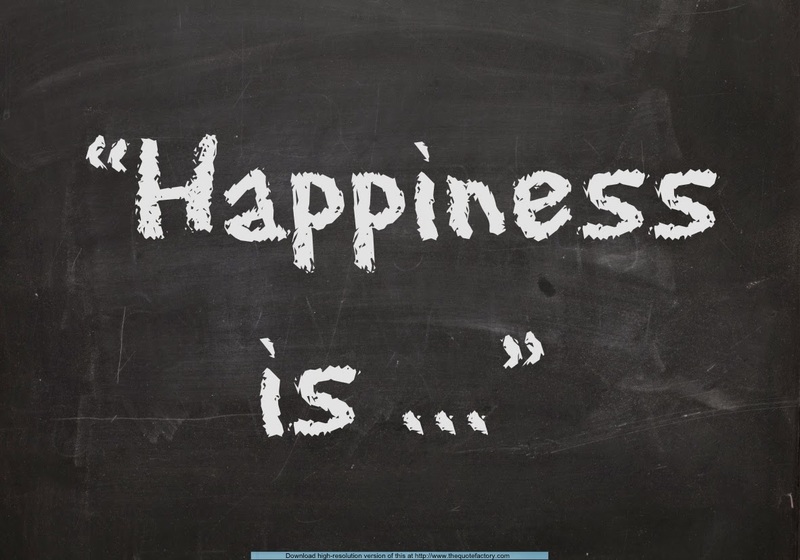 And instead of writing a brand new post from scratch, I'm going to share a classic one with you—Five Things To Know About Happiness. 2. Happiness is Not a Destination. It's part of the journey. There's never going to come a day when you're "Happy. Period." We all have ups and downs. We may be happy in one area of our lives and less than happy in another. It's not a place to land and plant roots. Nor do you want it to be. Because happiness should never become mundane. If it's how you felt all the time, it wouldn't be such a gift. 3a. Gratitude is a Direct Route to Happiness. Want to be happy? Count your blessings. We are all so incredibly blessed and we don't even realize it half the time because we're looking at all the areas where life has fallen short of our expectations. Well what about the vastly larger number of areas in which it has met and exceeded...or at the very least mirrored the effort we put forth? 4. You Can't Know Another Person's Happiness. So stop looking over the fence and thinking that person is happy! C'mon...think about all the times you walk around with a smile on, even though you're less than happy. Well, newsflash. Everyone else is doing that, too. In fact, some people are significantly better at looking happy than you are. The Dalai Lama is probably the happiest person on earth (that I know of, at least) and even his moods modulate. Besides, he's waited on hand and foot, worshipped far and wide and hugely respected. He was literally born to be a leader and a holy leader. But he was a leader in exile most of his life and his people were oppressed...all this happening to a very compassionate man. You want his problems? I didn't think so. So be careful what you're wishing for. 5. Happiness Shouldn't Necessarily Be Your Goal. Contentment should. See, the ultimate goal in life is supposed to be balance, right? Well, happiness is weighted to one side of the spectrum. It's not in the center. And the things beyond center are harder to maintain. Not only that, but in order to have balance, things that are weighted to one end eventually have to be mirrored by things weighted at the other end. But contentment is at the center. It's satisfaction. It's upturned lips and a relaxed brow, but not quite a full-on smile. With contentment, there may be things in your life that are less than hunky dory, but you'll take it. Because it's pretty good overall...pretty good for a Wednesday. It's the wellbeing without the exclamation point. And it feels really nice. And, with the right mindset, you can maintain it longer.